We recently re-visited a place we have blogged about previously - Motor City Casino. This time, we visited before and after a Red Wings game. We took advantage of their free and convenient parking, then made our way to the Assembly Line Buffet. They open for dinner at 5:00, and it is $27 per person. I hear that they have Seafood Night (with all you can eat crab legs) on Mondays for $39 per person. Each section of the buffet is organized by food genre. They have an Italian section with Pizza and Pastas. The American section has Hot Dogs, Hamburgers, Ribs, Sausages, and Fried Chicken. There is a carving station with Turkey, Prime Rib and Mashed Potatoes. Of course there is a soup and salad bar. There is even a Sushi section and a make your own Stir-Fry section. Everyone was friendly at the stations and asked us about our Red Wings Jerseys. The line started to get pretty long around 6:00, so make sure you are there on time. Our absolute favorite part was the desert section. There is an ice cream sundae bar, warm bread pudding and brownies, and about a million pastries. 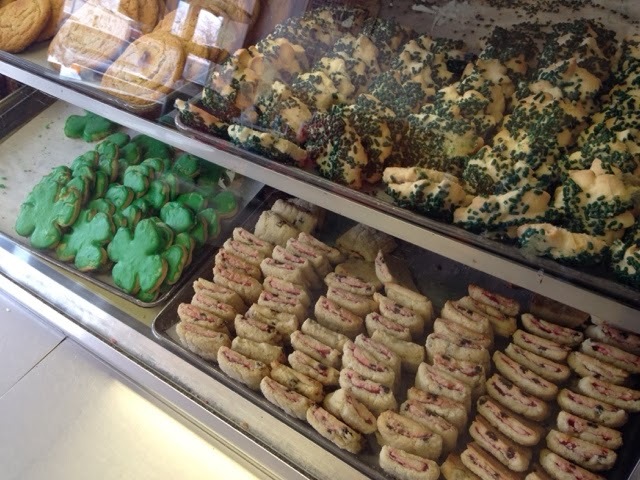 Eclairs, Cannolis, Pies, Cakes, Cookies. They even had bumpy cake!!! 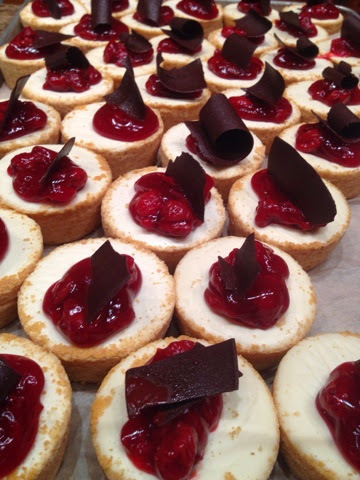 Our favorite was the Cheesecake and the Fruit Tart. I wish we had started with dessert. After dinner, we got our Player's Cards renewed, went to the Shuttle Kiosk, and scanned our cards for our free shuttle ride. The shuttle got us over to The Joe just in time, and then was waiting for us when we got out. Everyone on the bus was friendly and had a great time! When we got back to the Casino, we stopped in their new expanded Non-Smoking section. It was great to have so much space for Non-Smokers, and we are happy that they added it. We love going to the Casino before and after the games! It is a lot less hassle than waiting at The Joe's parking lot, and plus we got dinner and a few slots in too! Check out this option before heading down to sporting events in Detroit. 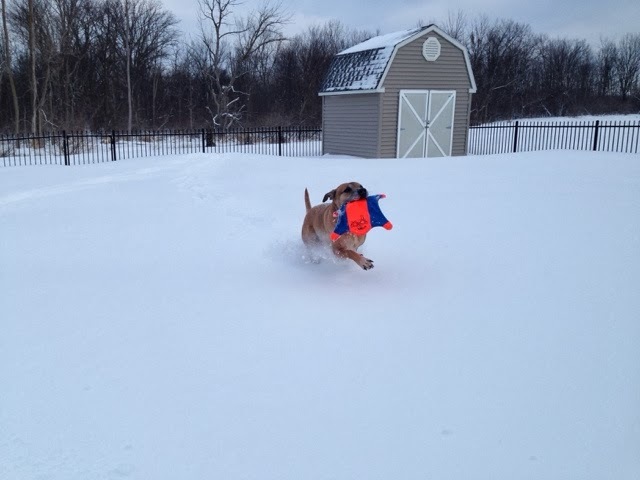 This morning we woke up to the beginning of the last storm of the season!!! ...we hope. It rained during the night, and now we have heavy snow that is supposed to last until 3:00 pm. Schools are closed again, and the roads look like they have lots of accidents. We are expected to get up to 9 inches of snow today. 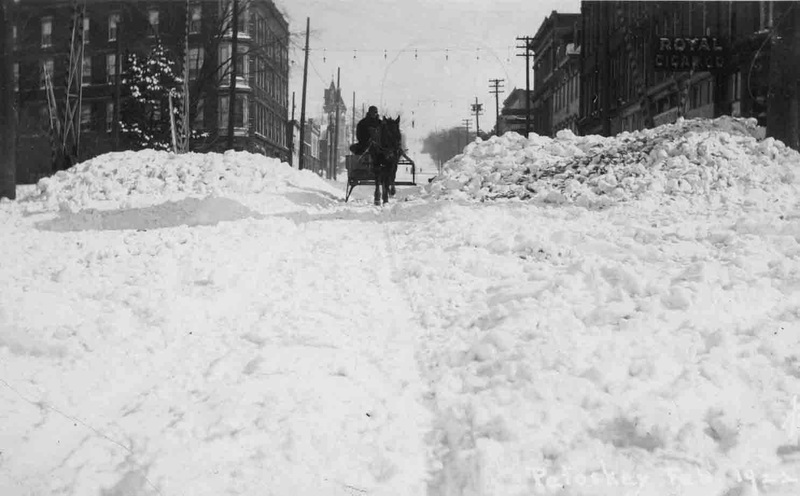 It has been an incredibly brutal winter, as we wrote about previously. 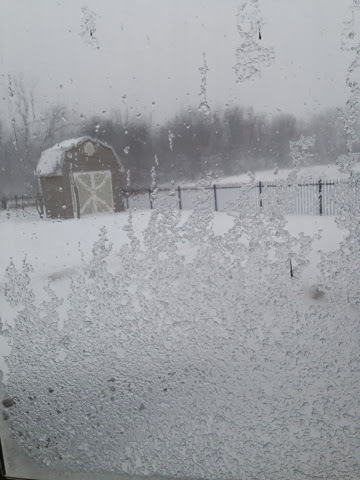 I am currently watching the snow and ice. 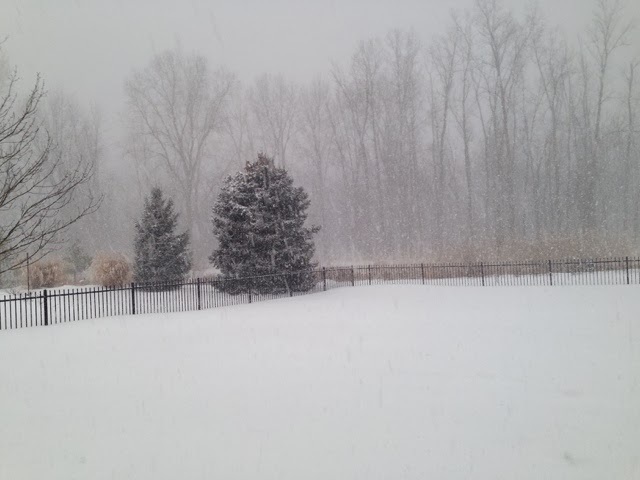 We have gotten 84.1" of snow so far this year in Detroit (without today's totals). 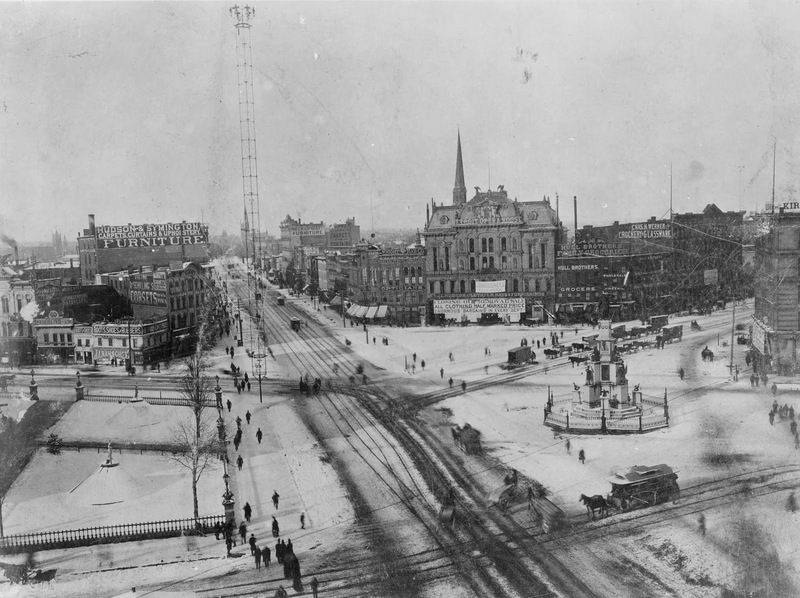 The most snowfall ever recorded in Detroit was 93.6" during the 1880-1881 winter season. Normal levels are in the 40" range, so we have really been hit hard this year. Combined with the record-breaking cold temperatures, this has been a really bad winter for those who commute for a living (like me). I am hoping that we break the all-time record for snow, so we would actually need 9.6" of snow before the season is over. Might as well go for it, right? 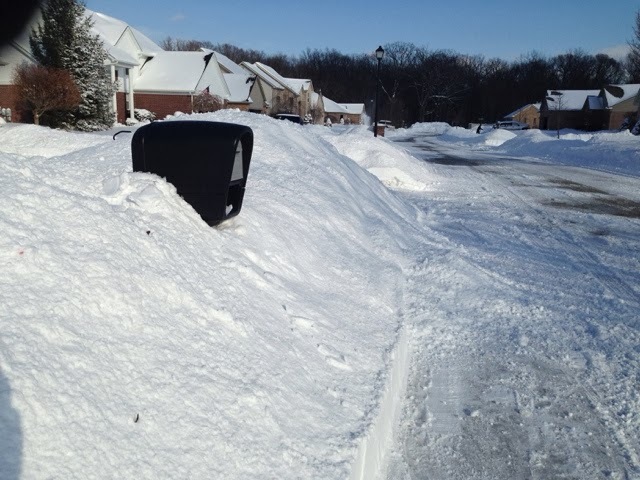 As a first time homeowner, I must say that this winter has been difficult. 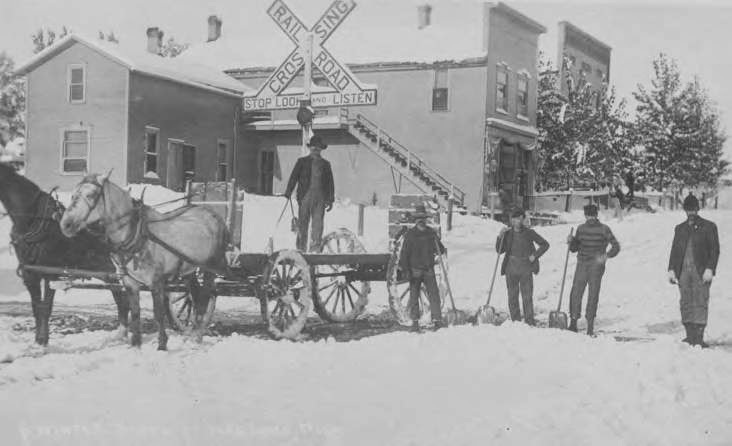 It is a lot of work to shovel all of that snow and there has been some damage to the house from the snow and ice. Here are some pictures from the past month. This weather has also created some pretty special events that aren't seen very often. 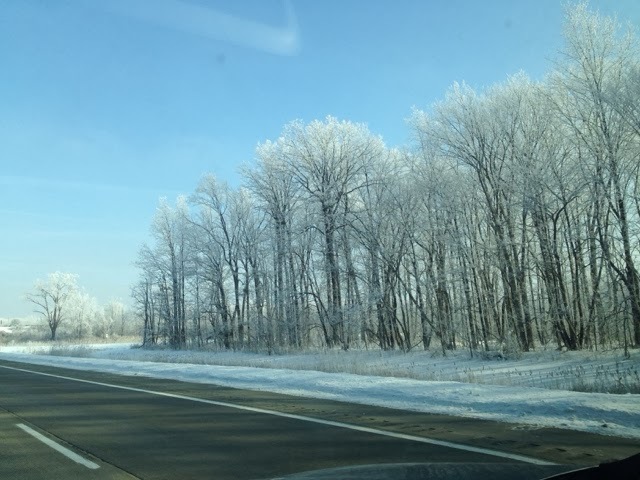 One day, we woke up to the brightest blue sky with ice crystals covering everything. It looked like Narnia. 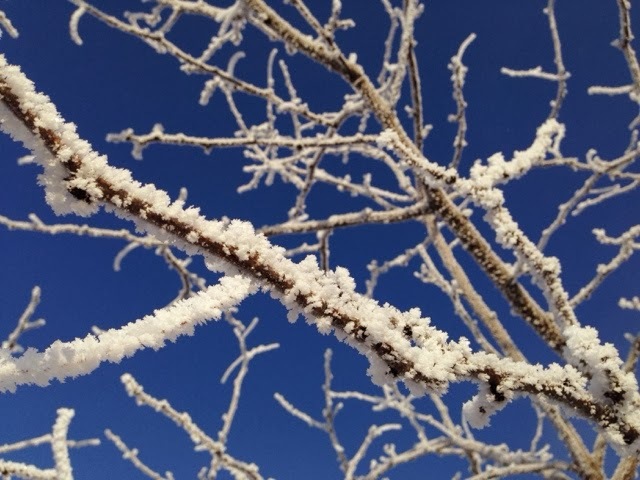 This is called Hard Rime and is caused by freezing fog. 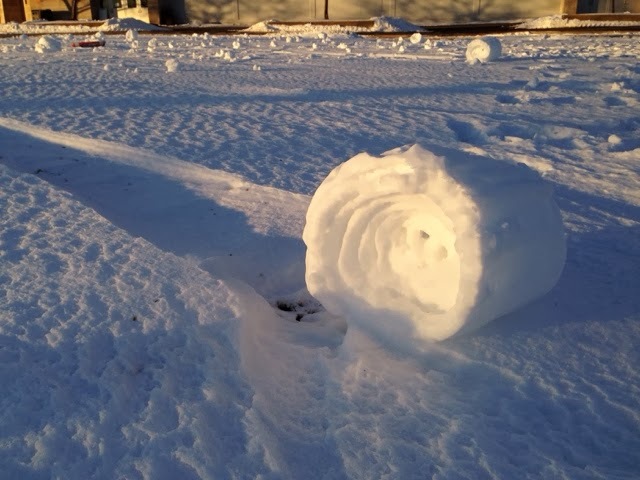 While in Ohio, I saw an amazing phenomenon called Snow Rollers. It happens when there is snow, then a layer of ice, then more snow, and wind. The snow rolls itself into something that looks like a bail of hay. Crazy snowy bales of hay with no footprints near them! I hear that they had these in West Michigan this year as well. I noticed that they didn't happen on wide-open fields. They were more common hear trees or on hills, so I believe that the wind must have some sort of turbulence in order to create the snow rollers. Ice cover on the Great Lakes has reached 92%, which we haven't seen since the 1970s. Usually, ice cover is around 40%. Here is a picture from NASA showing the frozen Great Lakes. NASA picture of frozen Great Lakes 2014. 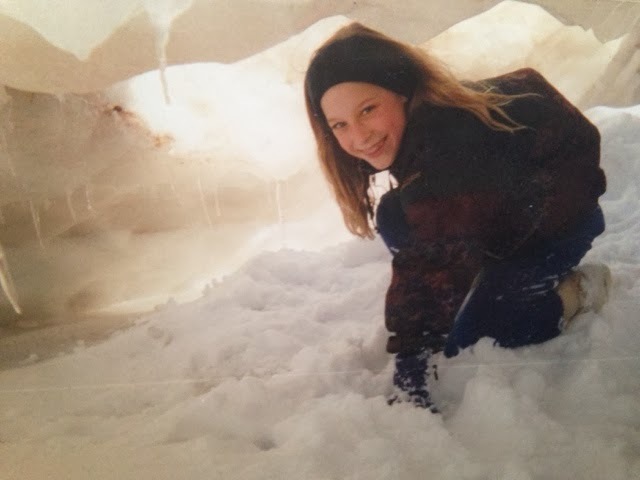 Back in 1994, there was a similar amount of ice cover. We went out onto Lake Michigan in Good Hart to see everything. You might think that the lake would look like a big slick piece of ice, but it doesn't. As the ice freezes, there are still waves and winds that create lots of caverns, hills, etc. You can see the layers that it freezes in as you walk out onto the ice. First there will be a row of caverns and hills. Then a smooth section. Then a section with shards and sheets of ice, and it goes from there. It's interesting to think of the weather conditions as that section freezes. Here is my family and I on Lake Michigan in Good Hart. 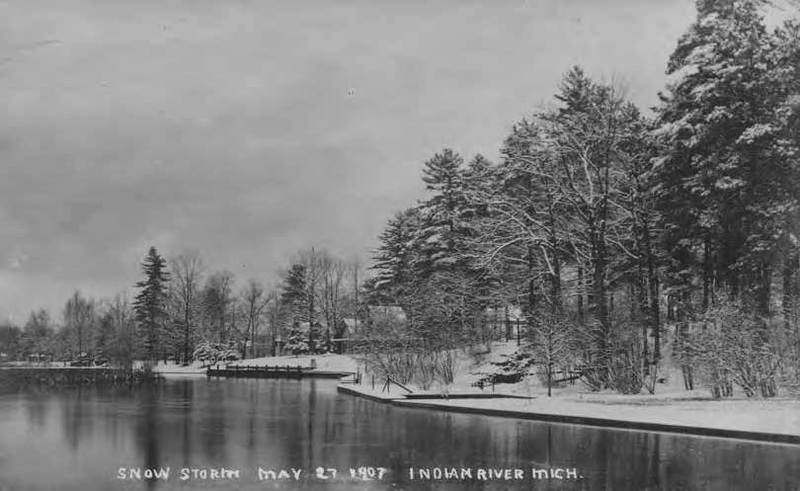 And lastly, to celebrate our (hopefully) last snow storm, I want to share some pictures of snowy Michigan through the years from SeekingMichigan.org. These pictures are from their archives, and I love looking through their collections of old photos. 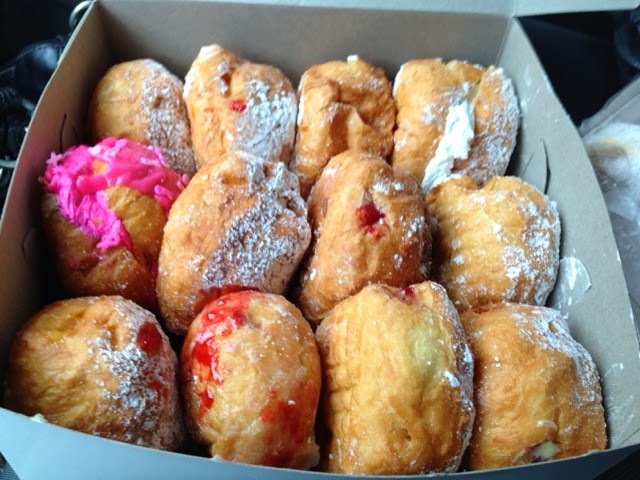 In the Metro Detroit Area, Fat Tuesday is known to most as "Paczki Day." 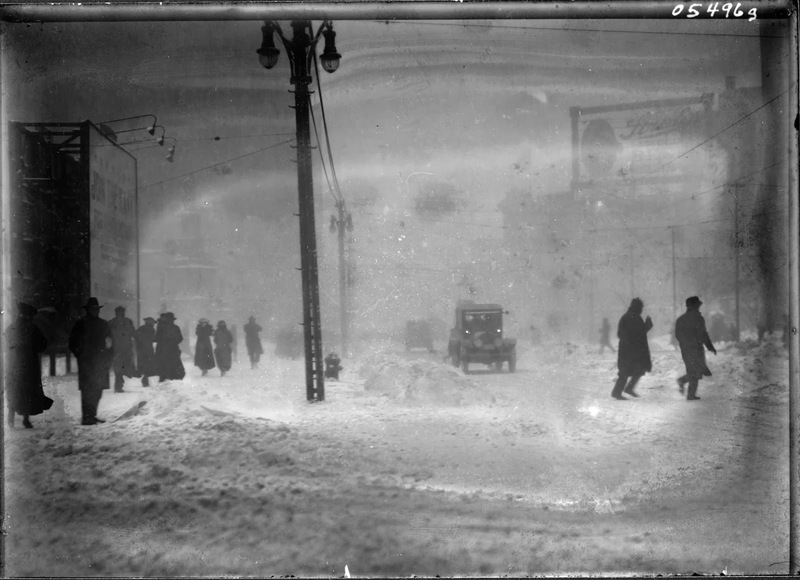 The center of Paczki Day is a small city bordering Detroit named Hamtramck. Hamtramck is named after a French Soldier, but the area was originally settled by German Farmers. 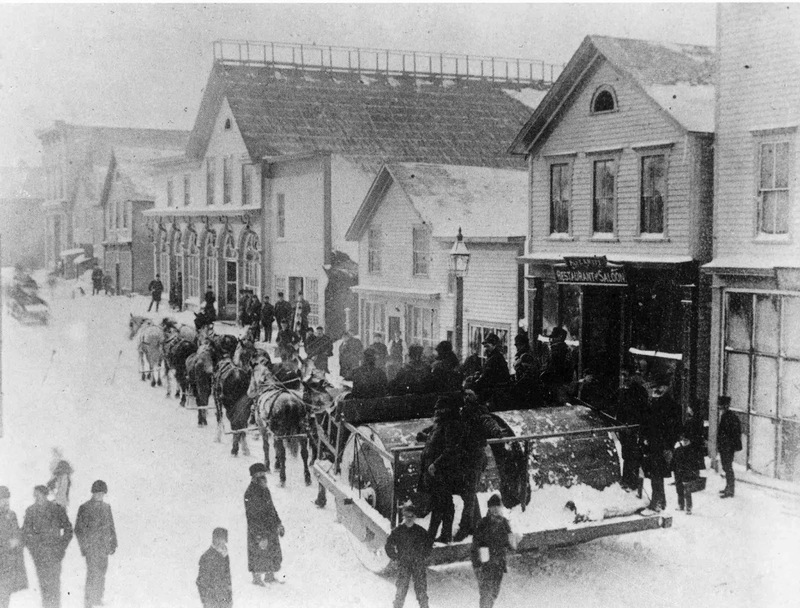 When the Auto Industry took off, Polish immigrants populated the area and brought their traditional Paczki with them. 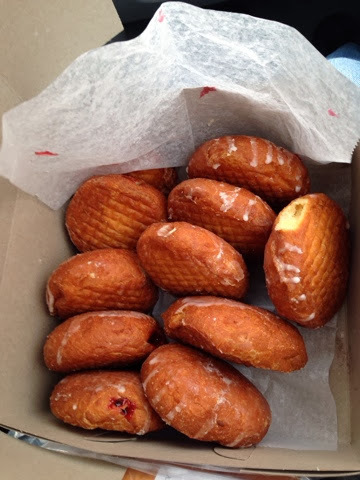 They are similar to a jelly doughnut, but they aren't a jelly doughnut. They are better!!! The dough has a lot more egg and fat, and they have different flavors specifically for Paczki Day. When I lived in Texas, the big thing there was "King Cakes" on Fat Tuesday. They were decorated nicely but didn't taste that great, and for some reason had a plastic baby hidden somewhere in them. 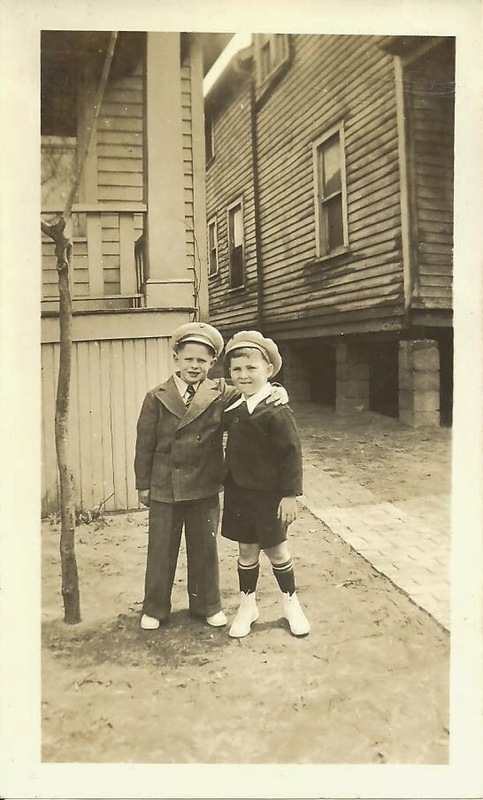 My Mom would overnight a box of Paczki from Meijer to me each year, which was great. 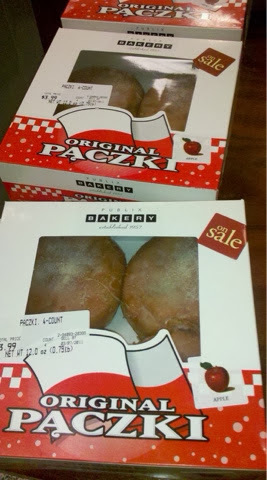 When I lived in Florida, Publix actually stocked Paczki on Fat Tuesday! They weren't good, but they happened. The baker at Publix informed me that they received the Paczki frozen and cooked them there. When I moved back to Michigan last year, I knew that I had to have a real Hamtramck Paczki - something I had never actually experienced. 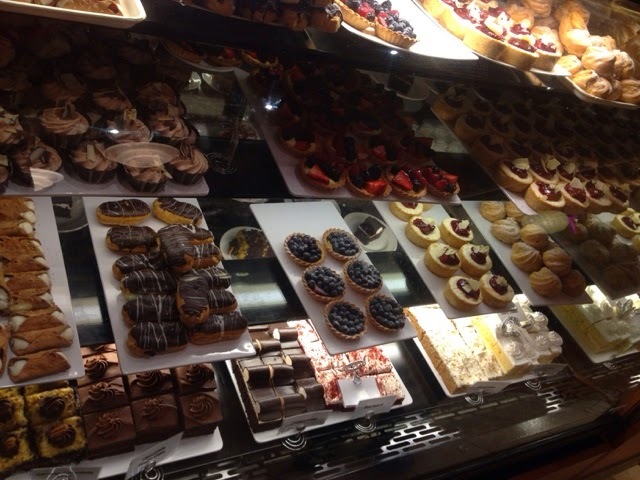 I checked out some reviews online and decided to go to New Palace Bakery. I got lost on the way there and found myself on Evaline Street. This sounded familiar to me, and I realized that I was on my Great Grandparent's Street. (I recognized it from my family tree work with the Census.) My family lived in Hamtramck for a few generations. 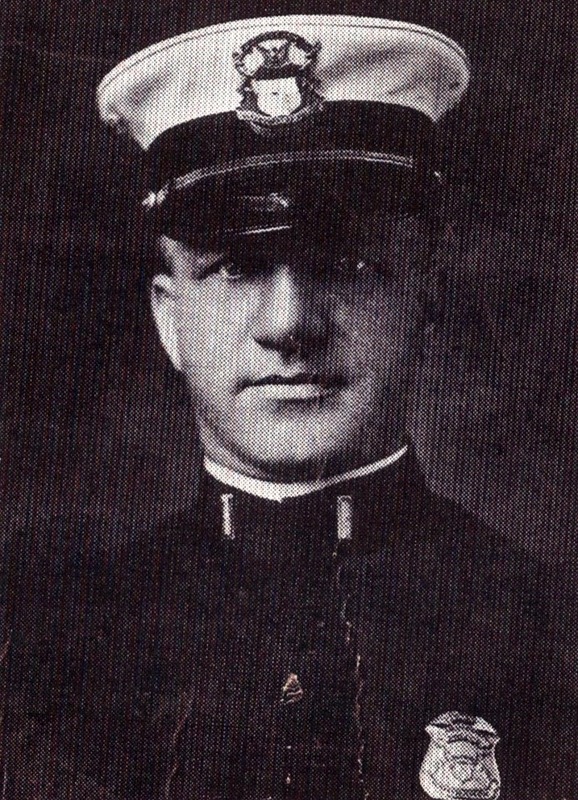 My Great Grandfather and Great Great Uncle were even police officers in the city. Here is a picture of my Great Great Uncle in his Hamtramck Police Uniform, and some unidentified children from my family on Evaline Street. My family was part of the first wave of German Farmers to the area. Back to the Paczki! I got to New Palace a little after 7:00am and it was crazy. 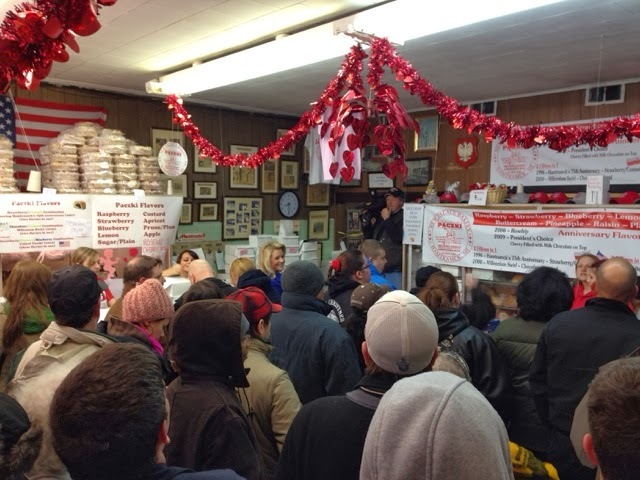 I waited with a bunch of crazy, happy people in the cold for 2 hours for a box of Paczki. There were news crews and photographers there. They were there from all over the place, including Hamtramck natives, and I really enjoyed hearing all of their stories about why they love Paczki. This year, I wanted to try a Bakery a little closer to home and a little less crazy. We decided to go to Elliott's Bakery in Downtown Trenton. This place is exactly the same as it was when it opened, I would assume! That is a good thing. 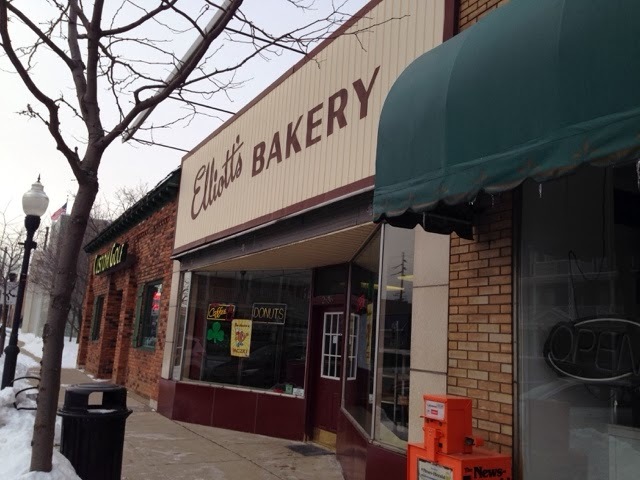 As children, we both have memories of going to Elliott's in the morning for doughnuts or cookies. On their facebook page, you can see pictures of the bakers making these Paczki from scratch. They had lemon, raspberry, and our favorite - custard! They were great, and just the right size. There was a steady stream of people coming in, but no big wait. Their case was filled with other cookies that all looked great! I also love their pepperoni rolls. 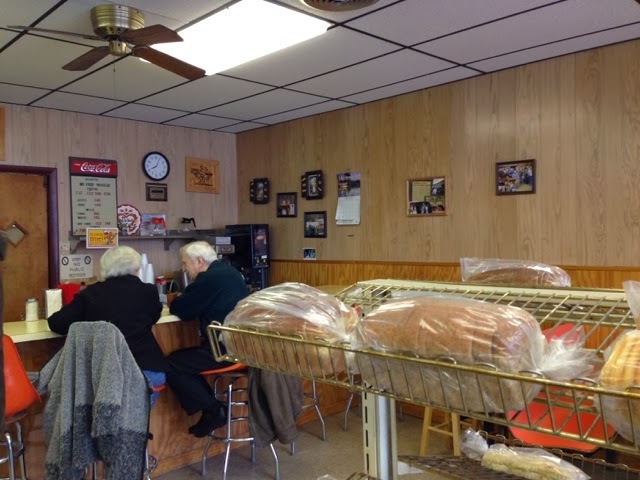 Check out this local favorite for breakfast next time you come Downriver!